Can be used as both juice blender and water cup. Can mix all fruits and vegetables together. Fast speed & make a cup of juice within a minute. 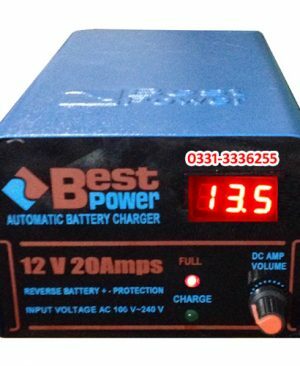 Can use 10 to 12 times to make juice after charging. 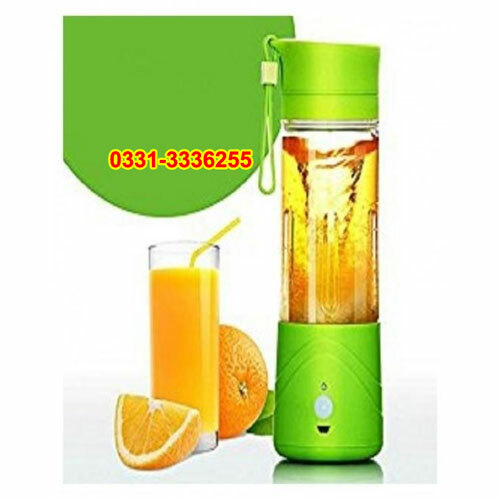 Online Shopping in Pakistan Rechargeable Juicer Blender Bottle – 380ml with Free Home Delivery and Payment On Delivery.Rechargeable Juicer Blender Bottle – 380ml (Product Code: Recharge-Juicer-Blender-Bottle) offer by DiscountMall at just ₨1690/- instead of Rs 2499/-, enjoy Fast Shipping with FREE HOME DELIVERY. 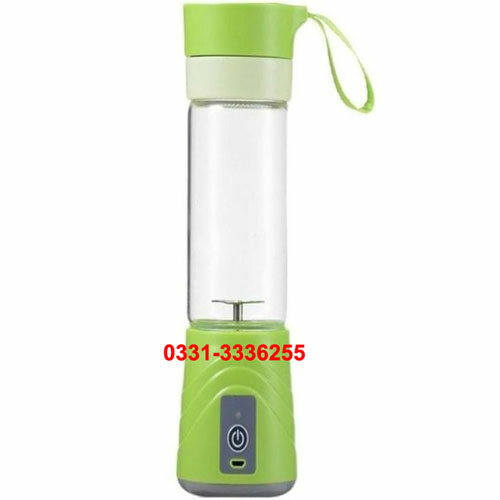 Mini size is portable, can be used as both juice blender and water cup. Can mix all fruits and vegetables together. Healthy and environmental friendly, which uses food grade non toxic material that can be used safely. It uses safe switch that can ensure the safety. Fast steering speed that can make a cup of juice within one minute. Can repeat use 10 to 12 times to make juice after charging full.